Deutch claimed Scott took “the unheard of approach of trying to use his own state police to impound voting machines.” Scott’s campaign filed a lawsuit to impound voting machines — which is not an “unheard of approach” for campaigns to take after a close election. Deutch also criticized Scott for “reducing the number of early voting locations.” Scott did sign legislation in 2011 reducing the days and hours of early voting, but the governor reversed himself two years later. As for early voting locations, those increased in every statewide general election during Scott’s eight years as governor. Deutch, a Democrat who represents parts of Broward and Palm Beach counties, made his remarks during an interview on CNN’s “New Day.” The congressman talked about counting the ballots in two of Florida’s extremely close statewide races — the governor’s race between Tallahassee Democrat Andrew Gillum and former Republican Rep. Ron DeSantis, and the Senate race between Democratic Sen. Bill Nelson and outgoing Republican Gov. Rick Scott. As both parties haggle over how to carry out yet another Florida recount, Deutch said — correctly — that there is no evidence of fraud in Broward County. He then went on to attack Scott. “There is evidence of eight years of Rick Scott as the governor of Florida trying to manipulate the outcome of elections,” Deutch said, before launching into some examples. 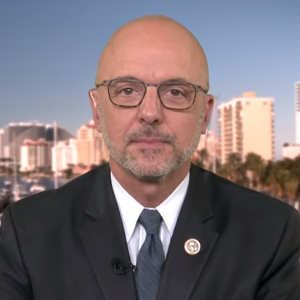 In one example, Deutch took issue with the legal wrangling over voting machines in Broward County, the state’s second most populous county. Deutch, Nov. 12: The governor has now actually taken the unheard of approach of trying to use his own state police to impound voting machines before this election is even over. It is not unheard of for campaigns to seek a post-election court order to impound the ballots — which is what Scott’s campaign, not the governor or the governor’s office, did in this case. On Nov. 11, the Scott campaign filed a lawsuit against Brenda Snipes, the Broward County supervisor of elections, in state circuit court. “These filings request that FDLE [Florida Department of Law Enforcement] and the Sheriff’s Office be required to impound and secure all voting machines, tallying devices and ballots when they are not in use until the conclusion of the recount,” the campaign said. Florida Democratic Party Executive Director Juan Peñalosa issued a statement comparing the governor to a dictator for filing the lawsuit. But, contrary to Deutch’s claim, it is not “unheard of” for campaigns in Florida to file suit seeking a court order to impound voting machines or paper ballots. In 2006, the campaign for a Democratic congressional candidate, Christine Jennings, filed a lawsuit asking a circuit court judge to impound electronic voting machines used in Sarasota County. And, in 2012, Rep. Allen West’s campaign sought a court order to require elections officials to impound ballots and voting machines. Both candidates lost, despite their legal actions. In Scott’s case, the state’s judicial system — acting not at all like a dictatorship — ruled against the governor’s campaign and came up with a practical alternative that was acceptable to both sides. At the suggestion of Circuit Chief Judge Jack Tuter, lawyers for both campaigns agreed to add three more sheriff’s deputies to secure the location of the county’s voting machines. In fact, the number of early voting locations increased under Scott. Deutch was referring to a bill that Scott signed into law in 2011 that reduced the number of early voting days and hours. The new law was cited as one reason for long lines at the polls in 2012. “The 2011 changes, as well as the Legislature’s decision to add several lengthy constitutional amendments to the ballot, resulted in long lines at polls in several urban areas of the state, particularly Miami Dade where some voters waited more than eight hours to cast ballots,” the Miami Herald wrote. But in response to the long lines, and under public pressure to act, the governor reversed course two years later and signed a bill that restored and expanded early voting. “The law not only restores the early voting to a mandatory 64 hours over eight days and up to 168 hours over 14 days, it also gives the 67 county supervisors of elections the discretion to schedule early voting on the Sunday before the election,” the Herald wrote of the 2013 law. Specifically, Deutch accused the governor of “reducing the number of early voting locations.” But data we reviewed on the Florida Department of State website show that the number of early voting locations increased in every general election during Scott’s eight years. In 2010, before Scott took office, the state had 257 early polling places in 67 counties. After Scott assumed office in January 2011, the number of early polling places increased to 289 in 2012, 333 in 2014, 351 in 2016 and 367 in 2018. "The governor [Rick Scott] has now actually taken the unheard of approach of trying to use his own state police to impound voting machines before this election is even over."